HB132 HD2 RELATING TO FEMALE GENITAL MUTILATION. HB538 RELATING TO ECONOMIC DEVELOPMENT. HB539 RELATED TO THE SMALL BUSINESS REGULATORY REVIEW BOARD. HB540 RELATING TO FILM AND DIGITAL MEDIA INDUSTRY DEVELOPMENT. HB874 RELATING TO URINE FREE ZONES. HB875 HD1 RELATING TO THE INTERNATIONAL MOON BASE ALLIANCE. HB1081 RELATING TO ‘AWA AS THE STATE BEVERAGE. HB1109 HD1 RELATING TO PUBLIC ACCOUNTANCY. HB1571 RELATING TO CAPITAL IMPROVEMENT PROJECTS FOR THE BENEFIT OF THE SEVENTEENTH REPRESENTATIVE DISTRICT. HCR227 REQUESTING THE DEPARTMENT OF BUSINESS, ECONOMIC DEVELOPMENT AND TOURISM TO CONVENE A WORKING GROUP ON ARTIFICIAL INTELLIGENCE. HCR228 ENCOURAGING KAMEHAMEHA SCHOOLS TO CONSIDER THE PRACTICE OF LAND EXCHANGES TO FACILITATE THE DEVELOPMENT OF HAWAIIAN HOMESTEADS IN LOCATIONS THAT BETTER SERVE THE HAWAIIAN PEOPLE. HCR231 REQUESTING THE DEPARTMENT OF BUSINESS, ECONOMIC DEVELOPMENT AND TOURISM TO UPDATE THE SUSTAINABLE TOURISM PROJECT. HR1 ELECTING THE TEMPORARY CHAIR OF THE HOUSE OF REPRESENTATIVES OF THE THIRTIETH LEGISLATURE. HR2 ELECTING THE SPEAKER AND VICE SPEAKER OF THE HOUSE OF REPRESENTATIVES OF THE THIRTIETH LEGISLATURE. HR3 ELECTING THE OFFICERS OF THE HOUSE OF REPRESENTATIVES OF THE THIRTIETH LEGISLATURE. HR4 ACKNOWLEDGING AND RECOGNIZING THE CAUCUS LEADERS AND NAMING THE CHAIRS, VICE CHAIRS, AND MEMBERS OF THE STANDING COMMITTEES OF THE HOUSE OF REPRESENTATIVES OF THE THIRTIETH LEGISLATURE. HR5 SENDING MESSAGES THAT THE HOUSE OF REPRESENTATIVES OF THE THIRTIETH LEGISLATURE HAS ASSEMBLED AND IS READY TO TRANSACT BUSINESS. HR7 ADOPTING THE RULES OF THE HOUSE OF REPRESENTATIVES OF THE THIRTIETH LEGISLATURE, INCLUDING THE OPERATING PROCEDURES FOR THE SELECT COMMITTEE ON STANDARDS OF CONDUCT. HR8 ADOPTING THE HOUSE ADMINISTRATIVE AND FINANCIAL MANUAL OF THE HOUSE OF REPRESENTATIVES OF THE THIRTIETH LEGISLATURE. HR202 REQUESTING THE DEPARTMENT OF BUSINESS, ECONOMIC DEVELOPMENT AND TOURISM TO CONVENE A WORKING GROUP ON ARTIFICIAL INTELLIGENCE. HR203 ENCOURAGING KAMEHAMEHA SCHOOLS TO CONSIDER THE PRACTICE OF LAND EXCHANGES TO FACILITATE THE DEVELOPMENT OF HAWAIIAN HOMESTEADS IN LOCATIONS THAT BETTER SERVE THE HAWAIIAN PEOPLE. HR206 REQUESTING THE DEPARTMENT OF BUSINESS, ECONOMIC DEVELOPMENT AND TOURISM TO UPDATE THE SUSTAINABLE TOURISM PROJECT. HR218 HONORING OSWALD K. STENDER FOR A LIFETIME OF DEDICATED SERVICE TO THE NATIVE HAWAIIAN COMMUNITY. 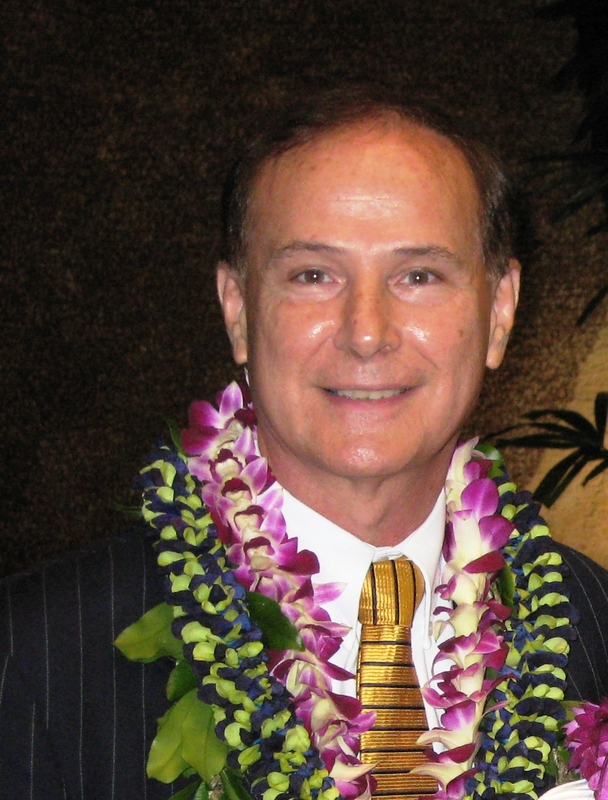 Representative Gene Ward returned to Hawaii was once again elected to the House of Representative in 2006. "Solar on every roof" has been my message to the people of Hawaii for the past eight years. Going forward, it may be "solar on every roof - and storage batteries under every house." Earlier this year, I compared Hawaii's electrical grid to an old-fashioned mainframe computer system - a system that has not kept up with the development of stand-alone personal computers and devices. Our state continues to rely on a centralized power plant to distribute power across the electrical grid. In the meantime, we continue to waste the sun for the sake of an outdated paradigm focusing on the producer rather than the end-user. Representative Gene Ward (R-Hawaii Kai - Kalama Valley) has sent a letter to the Department of Transportation questioning the repaving plan slated to begin on Monday, June 23. Ward questioned the lane closures plan as well as the length of the project. "It took 4 years to add 2 lanes to the old 4-lane Kalanianaole Highway while at the same time paving 6 lanes, acquiring land, moving and relocating underground utilities, and other related electrical, telephone, and sewer problems. This same 5-mile stretch of road is now said to take almost 2 years (20 months) to just resurface. Is this an accurate calculation," Ward questioned. Some of us are old enough to remember when "IBM cards" and the mainframe computer represented the latest technology. For decades, these devices were used as early forms of digital communication and data storage. As technology improved, however, the personal computer and Internet were created, allowing these devices to be phased out. The Internet was developed by the U.S. government, in part to be less vulnerable to attack or disabling than a centralized system like mainframes. For many of us, the acronym UAV (which stands for unmanned aerial vehicle) is synonymous with weaponized drones and faraway airstrikes we occasionally read about in the news. Contrary to this view and the Star Advertiser's ("Let's be clear about limits of drone use" January 05, 2014) equally cautious perspective, there is another side to this over-militarized view of our advanced flying technologies. Sometimes we forget that the military is often the testing grounds that immensely benefits civil society through later commercial applications. Take for example the discoveries of antibiotics, jet travel, the Internet, and GPS that were advanced by U.S. military investments that paved the way for mainstream commercial applications. Can anyone imagine life on this planet without the Internet? Rep. Gene Ward (R-Hawaii Kai - Kalama Valley) introduced a bill today that could potentially change the way students at the University of Hawaii system pay for their tuition, easing the burden of climbing tuition rates and student loan debt that is curbing students' appetite for higher education. According to a 2012 report from the Organization for Economic Cooperation and Development (OECD) , the United States is now the only major economy in the world where the younger generation (25 years old and below) will not surpass the preceding generation in terms of schooling. There is ongoing concern in Hawaii Kai over 20 years about over-development and a reduction of open space. One of the outstanding open spaces is the Great Lawn, now center stage in a land-use debate: Open space or commercial development? Rep. Gene Ward, R-Hawaii Kai, Sen. Laura Thielen, D-Kailua-Hawaii Kai, and Sam Slom, R-Hawaii Kai-Diamond Head, sent a letter on April 16 to the Honolulu City Council asking its 9 members to oppose development of the "Great Lawn", a parcel 14-acre parcel in Hawaii Kai now zoned as preservation land. March 22, 2013 ...Kamehameha Schools wants to build a "gathering place" on 4.5 acres of land on the entrance to Hawaii Kai, which would include stores and restaurants and possibly an educational facility and bike and walking paths along the marina. ..."Hawaii Kai loves Foodland, but we love the 'Great Lawn' more," Ward said. Kaiser Complex Schools Make History! Rep. Gene Ward (R - Hawai'i Kai-Kalama Valley) announced that Hahaione Elementary School in Hawaii Kai was authorized to become an International Baccalaureate (IB) World School making the Kaiser complex (Kaiser High School, Niu Valley Middle School, Hahaione Elementary School) the first public school complex in the State to offer the IB World School Programme grades K-12. Is a "Cyber-Pearl Harbor" in our future? In this post-9/11 world, cyberattacks are a new tool in our enemies' arsenals, whether at home or abroad. Just last month, Defense Secretary Leon Panetta warned of a potential "cyber-Pearl Harbor that would cause physical destruction and the loss of life, an attack that would paralyze and shock the nation and create a profound new sense of vulnerability." More recently, in the aftermath of Superstorm Sandy, Homeland Security Secretary Janet Napolitano said "If you think that a critical systems attack that takes down a utility even for a few hours is not serious, just look at what is happening now that Mother Nature has taken out those utilities." On Sept. 11, the Tax Review Commission 2010-2012 held a public hearing at the state Capitol to allow public testimony on reports the commission will examine before issuing its final report in December. The two reports open for comment were the "Study of the Hawaii Tax System" and the study on "Selected Issues with the Hawaii General Excise Tax," by the Public Financial Management (PFM) Group and Dr. William Fox, respectively. The vast majority of the oral and written testimony was critical of the PFM report. This opposition included lawmakers from both sides of the aisle, accountants, bankers, nonprofits, Realtors, private individuals, members of the building, construction, and tourism industries and the Tax Foundation of Hawaii. Honolulu - Today, House Republicans presented a letter to the Tax Review Commission opposing the commission's proposal to increase the GET and other taxes. In the letter, Republicans argue that increasing taxes would hurt Hawaii's most vulnerable citizens and negatively impact Hawaii's economic recovery. Yes, Hawaii Kai loves Foodland. ("Foodland considering a return to Hawaii Kai," Star-Advertiser, July 20). This was clearly shown by our fight to keep their store open in Koko Marina as long as possible. But Hawaii Kai residents love their community more than they love Foodland, and residents are very concerned about over-development, traffic congestion and a lack of carrying capacity of our infrastructure. In keeping with the legacy of Republican President and staunch environmentalist Theodore Roosevelt, Republicans in the State House of Representatives successfully led the way in opposing a series of bills that would have resulted in lasting damage to our environment. "This year, the Republican caucus defended Hawaii's environmental laws against many attempts by the Majority to erode our longstanding environmental protections. With the support of our communities and many coalitions, we successfully defeated many bills that would have endangered the quality of life for our residents and their children. We are very proud to end the 2012 session knowing that we helped to preserve the State of Hawaii for future generations." Arguably, one of the worst bills to be introduced and passed through the 2012 legislative process so far is a proposal to create a State of Hawaii Bank. It would be owned by taxpayers and operated by the state bureaucracy and governed by elected officials. Its primary purpose, as outlined in House Bill 2103, HD2, would be to purchase toxic mortgages and foreclosures on properties in the state of Hawaii. What is driving this legislation is the alleged success of the State Bank of North Dakota, which was created in 1919 and today puts about $30 million per year into the state's treasury in a state with the nation's lowest unemployment rate. Originally the bank was created to make loans to farmers, but today it primarily buys loans from the many small banks in the rural areas of North Dakota and does not specialize in foreclosures or loan modifications. The people of Hawaii remain concerned about their future-will they have a job, will they be able to cope with the increasing cost of living, will their government be able to balance its budget without cutting back essential services? The House Republican Caucus is calling upon the State to dedicate 3% of all state purchases, an estimated $33 million per year, to Hawaii-based veteran-owned businesses. 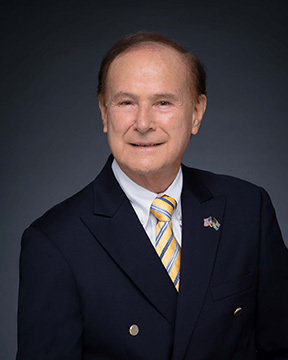 "As a Vietnam-era veteran and businessman, I believe it is time for Hawaii to follow the national example of supporting veteran-owned businesses, " Republican Minority Leader Rep. Gene Ward stated. It is estimated that one in every seven small business owners nationwide are veterans including 10,300 qualified veteran-owned businesses in Hawaii. Hawaii is said to have hit a home run at the recent Asia-Pacific Economic Cooperation conference held in Honolulu for 21 world leaders. If this is true, the question is: Will we be able to see the difference in Hawaii's future? I tried to gather proof of this by talking to as many people as possible, including a key member of the national APEC committee. This person told me that APEC and the U.S. State Department genuinely believe Hawaii did a superb job. Hawaii was thrown a number of curve balls amid very trying circumstances, and the Hawaii Host Committee was said to have just rolled with the punches, kept smiling, and showed that the aloha spirit could stand the test of pressure. The House Republican Caucus announced that House Minority Leader Gene Ward is participating in the bipartisan State Legislative Leaders Foundation forum. This national event recognizes a select number of legislative leaders in the United States who are responsible for shaping state public policies and developing groundbreaking new laws. This year's conference theme is "In the Cloud: Effective Governance in the Information Age." House Republican Leader Gene Ward (Hawaii Kai, Kalama Valley) issued the following statement regarding legislation being considered by the State House of Representatives: We have passed over 150 bills today. Some of them will benefit our residents and improve their quality of life. Rep. Gene Ward (R-Hawaii Kai - Kalama Valley) today issued a warning to the public not to believe the latest threats by the Senate as well as the Hawaii's public labor unions that an increase in the general excise tax (GET) is the only option on the table. Ward pointed to the rally held at the Capitol on April 4 calling on the Legislature to raise the GET, as well as a number of recent calls from Democrat Senators that an increase in the tax is really the only viable option on the table. Hawaii House Republicans, who make up 8 of 51 seats, sent Gov. Neil Abercrombie, D-HI, a letter on March 21, asking him to take immediate measures to "curtail state spending." They noted that Gov. Linda Lingle, R-HI, who was in office from 2002 to 2010, cut state spending in 2009 when confronted with a budget gap. Democrat members of two House Committees voted to gut a bill that would have helped parents buy school supplies for their children and inserted language to legalize gambling in Hawaii. SB 755, which started as a proposal by Senator Carol Fukunaga to help school-age children, was completely rewritten behind closed doors. Further, the bill was allowed to pass without the standard 48 hour notice to give the public time to comment on this measure. "You are gambling with the credibility of this committee," Rep Cynthia Thielen of Kailua pointed out. "There are many members of the public who oppose gambling and they were not given an opportunity to speak out on a measure that will completely change our State." "Today's Council on Revenues projections reaffirm the need to stop tax increases that will damage Hawaii's economic recovery and hurt the pocketbooks of our residents. Our economic recovery is still precarious and the last thing we can afford is to take another $500 million from families and individuals who need these funds to make ends meet."